Do you work for Google Earth Pro? Learning about Google Earth Pro? We can help. In our organization, it helps us solving the problems of visiting routes of our commercials to our potential clients, offering our services, and benefits us when creating these routes for free.
" I love it and it is very useful"
"With Google Earth you can search places with just a click and it will take you there." You can open your working files (shp, tab, kmz, geotiff etc) to cross check you coordinated readings of your work. And it's easier importing your gps *gpx files data over the platform and see your tracks. The mosaic landsat satellite images are outdated, have a bad image resolution. Significant masses of cloud cover also. Google is always available and easy to use, navigate around, anyone can use it and there's no complexity in the software features. Software is open source and accessible on the internet where you can download and install for free. It was used as background images in less accurate projects and those that doesn't emphasize on quality mapping. It is also used in recording project tour of our work. And also viewing 3D terrain of a particular areas of interest. "Google Earth Pro Useful for Roadway Engineering"
I personally like the ease of use of Google Earth Pro and the fact that it can be easily downloaded for anyone to use (consultants, contractors, and clients alike). If there is anything I dislike about Google Earth Pro is the fact that sometimes it gets 'glitchy' and zooms me into a pitch black screen sometimes when exiting street view. However, every software is bound to have some sort of glitch, and this is a small inconvenience compared to large benefits. My understanding is that anyone can download Google Earth Pro for free (note, I am not the one who purchases software for my company so I do not know for sure), so that being considered I would think there is no reason NOT to have it on your computer if you work on any type of highway or other civil projects. If you are a user of Civil3d, know that you can access Bing imagery from Civil3D itself which is useful, but I honestly prefer the imagery from Google Earth Pro and believe that you can get higher resolution with it. Google Earth Pro provides great imagery to use in high level exhibits or proposals and above all else is extremely beneficial to me as a roadway designer because it allows me to virtually visit (via street view) nearly any project I am working on without always having to physically be there (of course, taking into account how recent the imagery is). It is also useful for estimating areas which comes in handy quite often. Lastly, I have exported files from Civil3D to be imported into this software for clients and other coworkers to see project linework, stationing, and limits. "Take a look at the extraordinary geospatial images with google earth pro"
The most novel thing is that it has help to geolocate information automatically. In addition, it allows you to import images of all types of resolutions to accommodate your own images, even exceeding their resolution. Something that was impossible in Google Earth. It also presents options to create all kinds of maps and add user's own layers to accommodate the images to the information that is to be presented. Sometimes it gets very slow and it gets stuck. in some cases the streets and roads are not the same. I recommend that you use Google Earth Pro, which is a tool for designing and editing maps and photographs. It is an excellent professional application. Google Earth Pro helps to improve the relationship with customers, thanks to the use of an image with great detail to insert your design of a building at a specific point, enabling the realization of plans and images for reports. Something that can also be carried out outside urban areas, designing all kinds of routes, buildings, plans or any idea about the high resolution images of Google Earth Pro. "New photo layer and the loss of the Panoramio Layer"
What used to be one of the most useful aspects of Google Earth was the Panoramio Photo Layer. This imagery, provided freely by thousands of contibuters from all over the world, became a vital tool for science, environmental research and monitoring, anthropology, expedition planning and holidy planning, to mention just a few. The Panoramio Photo Layer was a fantastic archive of imagery, constisting of millions of photographs showing all aspects of life and topography from every corner of the world, many geotagged and and many accurately placed by the photographer. A few were misplaced but were so close that it didn't really cause many problems. The wilful removal of the Panoramio Photo Layer is akin to book burning or the distruction of historic sites by terrorists in the Middle East. It a sad and ill judged act of vandalism. The new photo layer is an extremely poor replacement for an amoazing archive. It is now purely an advertising medium, aimed at people visiting cities and tourist attractions. The icons are too big and the zoom feature of showing the icons means that the overal earth image is lost while trying t find the icons. All images being pinned to pre-defined POIs is plainly ridiculous and impractical. The loss of the Panoramio Photo Layer has rendered Google Earth almost useless, apart from viewing satellite imagery and that can be done with many other mapping tools, such as Bing Maps. A total disaster for Google Earth, I am currently a user of Google Earth but only in the hope that the Panoramio Layer will be reistated. If it isn't, then I will not be using Google Earth any longer. Without reinstating the Panoramio Photo Layer, I can no longer recommend Google Earth. "Google Earth Pro - Great for Real Estate"
I like the ease of navigation with the mouse within Google Earth Pro. "Driving" is intuitive, and the user interface makes it easy enough for anyone to understand how to use it. Some of the toggles (prevent auto tilt, turning off certain views, etc) are somewhat hidden, so if there was an easier menu to turn things off that are somewhat nuanced, that would help. Google has the most imagery of any other software, so to use another software would be handicapping your business. It is very easy to zoom to other markets and evaluate them from a remote location, and I also use Google Earth Pro on my iPad when I am with clients. I am able to solve questions as they arise regarding what business surround an intersection, and how visibility to a building may be from a road (via the Street View). Benefits are great due to being able to identify property from a birds-eye view, and then zoom into the street level to show a client what type of property they are looking at. "Google Earth Pro for Architects"
Google Earth Pro is very helpful for architects because it allows you to view buildings, sites, etc. in 3D and scale and measure them. Some of the layering is a bit primitive and can use some upgrading. Although not designed to it's full potential, what they currently have is functional. Google Earth Pro has been a useful tool to allow me to view a building or site in it's context and from an aerial and bird's eye perspective. You can use it to show as little or as much context as you want. "La mejor manera de ubicar las zonas de interés"
Me gustan muchos aspectos del Google Earth Pro como la visualización de las líneas de división, topografía y edificaciones, tambien es muy bueno para ubicar los sitios que nos interesan como áreas de riesgo por inundaciones, zonas de vulnerabilidad por deslizamientos, zonas de riesgo por almacenamiento de combustible y localización de hospitales, estos aspectos son importantes para visualizar en una superficie como una alcaldía o estado. Adicionalmente, se debe considerar las distancias entre rios y servicios para telecomunicaciones, sistemas contra incendios y costas y las distancias que estas tienen entre sí. Una de las cosas que no me gustan es que se puede cargar fotos y la visualización de la superficie de la tierra con un ángulo diferente al ortogonal. en cuanto a las fotos, a veces tiene una diferencia entre la foto y la ubicación y el que cargue las fotos de una zona específica, por ejemplo morrocoy no permite que la computadora desarrolle bien el programa. En segundo punto, la superficie se distorsiona al cambiar el ángulo desde 90 grados a otro angulo diferente, pudiendo ver el terreno de forma oblicua. El uso de Google Earth Pro es una herramienta poderosa debido a que puede ayudarnos a nosotros como ingenieros civiles a visualizar una superficie y estimar lo que puede ser construido en ella, determinar la distancia en que puede estar a salvo de una inundación y cercano a un servicio de salud. "Excelente Herramienta Online para la Geolocalización"
Me encanta Google Earth Pro, siempre lo utilizo para ubicar lugares, crear Kml y ver las imágenes de satélite Landsat y Quickbird que están bajo su plataforma de visualización. Es una herramienta muy útil no sólo para los amantes de la cartografía y la geolocalización, sino también para todas aquellas personas curiosas de conocer ubicaciones y direcciones de los lugares en el planeta tierra. "Great for Classroom VIrtual Trips"
I love that when I "fly" my classroom to a different place in the world, they can see how much of the globe we are traveling. Sometimes it can be a bit slow to work through pixelation into a clear view when we "land" in a new place. Test it out, especially the destination you want to see, before presenting it to a group. Especially if you would like to zoom in on something specific, it is good to know how close you can get before you begin to lose some definition in the picture. (Plant life can begin to look like claymation if you get too close, but that is just part of life when dealing with this type of software. Field trips are becoming increasingly costly, even when they are local. I also sometimes face issues with parents not wanting their children to travel on a school bus. Using Google Earth gives my students the sense that we are traveling, that we can "go" to exotic places, and that there are places and things outside their small world that they should be curious about. "Google Earth Pro - Great for seeing terrain without a site visit"
The smoothness and ease of use of the product allows for easy visualization of terrain/obstacles/challenges that might be faced on sites. The ability to lay 2d images based on GPS coordinates is an amazing feature that greatly helps visualizing where construction can take place. It's easy to get sidetracked from task at hand as there is such a wealth of information, it become very easy to just look up side curiosities instead of concentrating on what you need to do at the moment. Great tool for visualizing terrain without the need of physically visiting the area. Google Earth Pro allows for understanding terrain that might not be noticeable on drawings without having to plan a costly trip for a large group. It also allows for better visualizations of where construction can happen as you are able to place drawings onto the terrain in the program. Only 1 person needs to go to a site visit and they are then able to use Google Earth Pro to visually demonstrate/confirm the data that is shown allowing for a clearer understanding for those that are in the home office. "So much you can do"
I really like that you can gain perspective of where you live or work or places you might go. I also like using the measure function and find out how big a building is or what distance you may have traveled. I also like "exploring" new places or looking up locations that I read about to gain more global awareness. Sometimes, it takes a while to load the image to optimal clarity when zooming in. Also, after you zoom in to a certain distance, the images start getting blurry. I know that is because of the ability of the cameras, but I'd still like to see more detail. I can take a little while to get used to navigating around on the maps. The globe tends to rotate also as you are trying to fly from one location to another. You will want to make sure you have a good internet connection. I would highly recommend exploring and playing around with it. There is an online only based google earth, but it does not have as many options or tools as google earth pro. In my classroom, I have been able to use Google Earth to show my students details about trips. I have also been able to show historical and geographical significance as background for music we are performing. I have also used it to look up addresses so I know exactly where I am going and how it will look when I get there. "This tool has literally changed the way the real estate industry works"
The aerial and street view imagery. This has become such an integral part of our everyday lives that perhaps we fail to take the time to actually acknowledge what an incredible tool this actually is? Additionally, the feature in the Pro version where you can see the measurements and internal area of polygons is a superb tool when trying to estimate the extent or built size of land or buildings. Moving markers out of folders one at a time can be very time-consuming. You should be able to select and move multiple items at once. I don't know of any other free alternatives to this product with nearly as many features and ease of use. This tool allows us to view assets all over our market without having to physically visit them - as an initial point of review, this saves enormous amounts of time. "The best gallery of satellite images at your fingertips." This program has the best and most up-to-date satellite image gallery, with which you can work, study, plan and even enjoy beautiful scenes even in 3D. What I do not like about this program is that almost all the images (those of high resolution), are located in areas of cities and should be the entire world map. It is a very simple and easy to use program, it allows you to locate places, select areas, establish meeting points, routes, make routes, among many other things; and you can download it and install it anywhere. Google Earth is a very practical tool with very updated satellite images and has helped me a lot to locate places and extract coordinates, as well as add vector information and be able to save them as personalized maps. "Un mapa a tener en cuenta"
"Great product, much more intensive than maps, and provides a nice UI for easy use." I found it very useful to get elevations charted out, while saving routes in the program for reference later. Very good for preliminary calculations for pipeline applications. It can get a bit hard to control the movement of the earth when you zoom out. Otherwise its a pretty powerful product. Try to get familiar with all features prior to using this for work. There is a lot of tools that can be used that aren't typically provided in Google Maps. Elevations and charted distances allow me to determine pipeline mapping as part of my engineering work. Saving these instead of having to use google maps allows me to return to my work. It's useful and powerful to have something free and available for use. "Incredible geospatial software for a great price - FREE!" This is the only tool of its kind and Google Earth Pro is now FREE. There is no need to look elsewhere for your basic geospatial software. "Unbelievably powerful Free mapping solution"
There are many great things about Google Earth Pro - it's free! You can create a really impressive looking video of any route big or small anywhere in the world. You can explore our amazing planet and even see how it has changed over the decades all from the comfort of your home. It's not so much a dislike, as the range of things you can do for free with this app is breathtaking, but the graphical tools aren't very user-friendly. Unless I'm doing it wrong, you can't easily add a shaded polygon to a location or easily change the characteristics of single polygons from an imported file. Dive in and play. It's fairly intuitive and you can be travelling around the world before you know it. For more complicated tasks like plotting waypoints etc there are plenty of 3rd party websites which can create the necessary files for you to import into GEP - most are fairly easy to use. We often need to plot a map of venues that we've recruited across the UK and occasionally demonstrate their proximity to another list of venues, e.g. within a radius of 10 miles. We can overlay additional detail readily downloaded from other resources to show postcode districts, population density and then export the resulting map with a legend, embedded html logo, map overlays and a scale. Pretty awesome for our needs basically. "the world's best and largest image viewer"
I do not know which one could say that I did not like it, but this is the best one to follow. "Helps us get an idea of the area clients are located in for provisioning"
We like the way we can zoom in on a building to check it out for provisioning. It needs a powerful computer. Some of the less powerful computers in the office struggle with Google Earth Pro. I think Google Earth Pro is not being developed anymore, which is a shame. When we sign up a new client, it can be useful to have a look at the area the client is located in, to allocate adequate provisions for them. 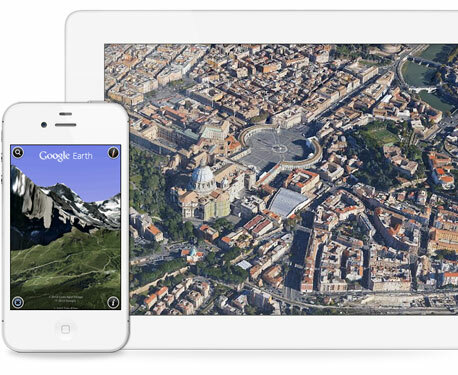 With Google Earth Pro, we can type an address and see a view from above, and a photographic view. 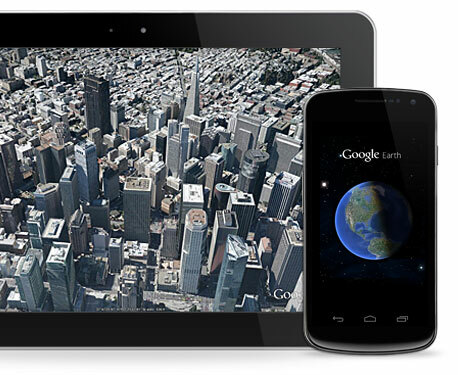 "Google Earth has changed our way of seeing the world"
It is a great app. It allows you to know new places, read information about them. It helps you find places, see them, know them without leaving your home. "Google Earth Pro - Review June 1 2018"
Easy to use for simple tasks. It has great Measurement Accuracy on buildings and land. 3D View of Buildings and cities it is impressive, gives yo a very realistic impression of sites and buildings as if you were there. Easy to Travel around the world. Address geocoding and identification. Extremely good at this. Even check on this to predict right address before checking with County CAD files or other mapping software. No straight tools to design driving distances or territories without coding. there are other mapping applications that include all this but they are expensive. There is not much human support. Every issue or question you have to rely on browsing the net and sometimes the responses are extremely technical. But since the price is Free, there is no buts to the return on investment. "Full featured 2d/3d map viewer for free"
Not a very useful program when there's not an internet connection available. I use google earth frequently in conjunction with street view to location scout for my photography. Google Earth allows me to see the terrain as well as evaluate the light at a given time/date. I currently work for a roofing company, so we use this program a lot! It allows our estimators to preplan their visits, get an idea of the size of the property and potentially identify issues before ever walking on the property. Also, the new tour guide feature is pretty awesome. It is sometimes hard to manipulate the map and the images are not always clear. For roofing contractors, this software is a great, free asset to assess your jobs/ appointments before ever stepping on the property. We are able to view the property prior to arriving at the appointment. We can identify potential issues as far as access, height, obvious roofing issues, etc. "Excellent software for see any places in the world"
I like this software for facilitating visits in various places in the world! I spend a lot of time admiring the landscapes that this program provides for us (users). I also like it because it is very easy to handle, because it has a very friendly interface. It is a program, that until the present moment, I have not found something that does not like. I recommend using this software for leisure and for work, as it makes it easier to look at places for trips and at the same time, for mining companies, we can use to see what the terrains are like. It provided me with help to do works and presentations, capturing images of current wonders. "Excellent Tool Full of Information"
I am able to view any location if I enter an address or zoom in wherever I want to in the map. I can look in 3D views, photos, satellite images etc. Image is also high quality. What is amazing that it is free! You can see around the world with Google Earth Pro! Also works on mac! Some areas are not updated often. With how fast the infrastructure is changing, Google Earth Pro needs to keep up! Sometimes application is very laggy. I work in a very large school campus and I can see how far a work site is from my office. Save us a lot of time. "Great as an Environmental Resource"
The detail in the maps makes it really helpful to determine the general conditions of a site. Also, the historical imagery is really helpful. I really like that shapefiles can be created and shared on the program and can be exported to be used with GIS or AutoCAD systems. Some times it takes too long to zoom into a location. Also, editing a pin location or text is difficult after you close out of the pin window. It a helpful tool for site design and site assessments. Allows for an efficient way to create a map and can be be used with other systems. I work in the Environmental Consulting industry, so Google Earth Pro helps us with Phase I and II Environmental Site Assessments as well as allows us to create shape files that can be used with our other programs.